Business meeting, private party or pack lunches we can supply the fab food and great service that you require and always deliver value for money. Corporate catering and private party catering in Greater Manchester, Manchester City Centre, Stockport and Cheshire. Packed lunch delivery service nationwide for your staff and volunteers. We can supply nationwide for your major event, contact us to discuss numbers and we can happily quote a price. Have a look on the relavent page, pick a menu and contact us. We are also happy to come to your office to discuss your needs in more detail. 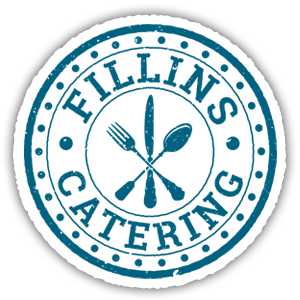 Fillins Catering supply a fab breakfast for that early meeting or a great lunchtime menu for that training course. All deliveries are free of charge. Having a celebration? Let us look after the food so you can have a good time as well as your guests, we can deliver direct to your home or the venue where your event is being held. Based in Manchester, with great access to all the major motorways we can deliver pack lunches nationwide, 24 hours a day, 7 days a week. We can supply for Christenings, funerals, birthday parties, wedding anniversaries, or any celebration. All deliveries are free of charge.